Hands up anybody who remembers Whites? 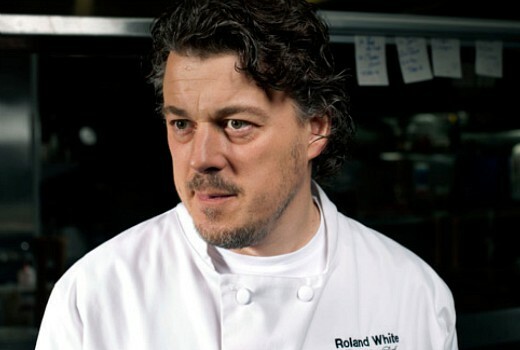 The UK comedy aired on ABC in 2011 with Alan Davies as a head chef trying to become a celebrity chef by writing a cookbook. The series only lasted 6 episodes but US writer Matt Tarses (Scrubs, The Goldbergs) is working on an American adaptation for NBC. The show will now be set in upstate New York where Roland White, a disgraced wunderkind of the New York culinary scene runs a restaurant. However, he is challenged by a new pastry chef, Emily, described as gluten-free, farm to table and gender-neutral-pronoun-using as anyone on the planet. It did deserve a second season. I enjoyed Whites, it had an excellent cast and had its moments. I was disappointed it didn’t get a second season. Chef! was better though. I do. Thought it was very good and pretty funny – with Darren Boyd and Katherine Parkinson.